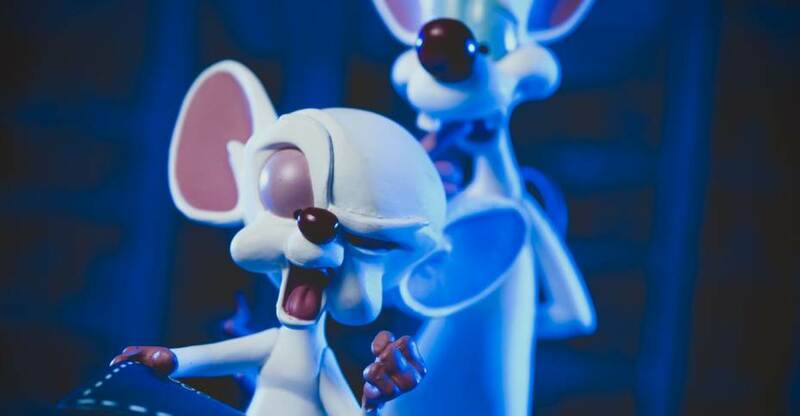 Pinky – Gee Brain, what are we going to do tonight? The Brain – The same thing we do every night Pinky. Try to take over the world! Pinky and the Brain are back! Well, in Q-Fig form anyway! Pinky and the Brain were recurring baddies from the WB’s Animaniacs cartoon in the 90s. They had their own run from 1995 – 1999 via two shows. Products for these guys have been sparse in recent years, but we now have a pretty solid representation in the latest Q-Fig from QMX. The static statue-like set features both Pinky and the Brain overlooking plans to take over the world in a toon-accurate sculpt. This is the first of QMX’s Q-Fig TOON line, which will stay true to the designs of the original cartoons they come from. Both are spot on here and capture the essence of that show perfectly. They’ve also let us know that there will be more Animaniacs coming in 2018! All times are GMT -4. The time now is 4:19 PM.